The summit location only has 100 keys, meaning other guests have booked other nearby venues. Capella Hotels has been assigned as the location of the historic summit between US president Donald Trump and North Korean leader Kim Jong Un. Experts asked by Singapore Business Review said the total cost of the event is difficult to estimate, but the big event will require Singapore and other governments to shoulder some security and logistics spending. On Sunday, prime minister Lee Hsien Loong announced that Singapore is spending $20m to host the event. 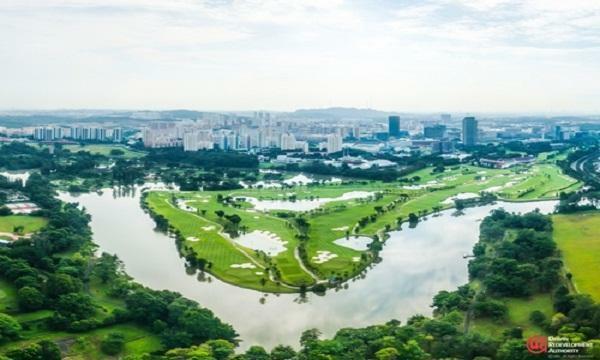 Fernando Gibaja, general manager of Capella Singapore, was not able to disclose the events details, but said, "Guest confidentiality and security remain as our top priority at all times." Savills Singapore research & consultancy senior director Alan Cheong commented, "If the choice of Capella Hotels is not a red herring, then it was probably chosen more out of the fact that it is on Sentosa, where the monitoring of vehicles and human traffic going into and out of the locale is easier. Also, for Sentosa, it's easier to enforce an effective all-round security dragnet." Cheong noted that the hotel will likely have to sweep for explosives, listening devices, and areas where unwanted persons can hide. "The staff at the hotel who will be working on the day of the meeting will likely have to undergo some background checks and be searched as they enter the premises. Other hotel guests may be asked to clear the premises," he added. The professor noted that there will also be the stationing of security staff in and around the hotel, including points of access to the hotel. "There will likely be the positioning of security, monitoring, surveillance equipment to handle potential threats that may come from the land, air, or sea," he added. Despite the "significantly high" costs, JLL Hotels & Hospitality said the bill may be considered a marketing expense for Singapore. It brought up concerns over the cost of Formula 1, which were eventually shouldered by the country. "Singapore decided to continue to host the grand prix as it provides spill-over benefits for the economy." "It is only politically correct and neutral to support a Singapore based hotel/resort company," said JLL Hotels & Hospitality. 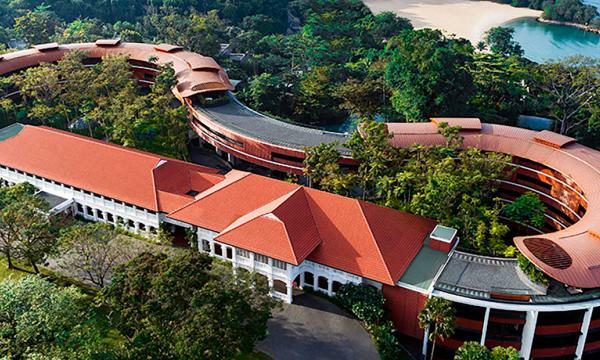 Sentosa and the area around Shangri-La are the two "clearest choices" with a variety of luxury hotels to choose from. However, Capella is only a relatively small boutique luxury hotel with just over 100 keys, so the firm expects other hotels in the city to capture some of the demand generated by the summit. "The majority of the delegation will be staying at other hotels in Singapore. In that regard, the number of rooms may not be entirely relevant and it could be used as a staging ground for the heads of state, the various diplomats, security and the press," they added. "Singapore is a small city-state and while there is a wide range of hotels in Sentosa it really depends on what type of security will be in place. As mentioned, we expect Sentosa hotels and other hotels in the city to support the demand generated by such a summit," the group added. Cheong said the main beneficiary will be Capella Hotel as it can boast of having held such a landmark event, whether this event leads to long-lasting peace or it may lead to an unexpected outcome later. "On the whole, it does elevate the awareness of Sentosa globally," he added. JLL Hotels & Hospitality agreed and said, "On the flipside and as mentioned, the summit is extraordinary publicity for the country and the hotel, as Singapore and the Capella will make history." The group noted that Singapore is used to holding diplomatic events of significant importance. In 2015, Xi Jinping and Ma Ying-Jeou met at the Shangri-La which was the first face-to-face meeting between a Mainland Chinese and Taiwanese leader since the end of the Chinese Civil War. "It would not be surprising to learn that the Singapore government has this process well streamlined," it said.